It happened really quickly… I started noticing my son wasn’t sleeping well when he was 16, and realized he had grown out of his bunk bed much too fast. I hadn’t budgeted new bedroom furniture for him yet, and I didn’t want him to lose any more sleep so I had to act quickly. I looked at what I had to work with and it turned out I had enough scrap wood to make him a platform bed. I also had some old furniture pieces in my garage that I was about to haul off to the Goodwill, including a desk and a bedside stand.. 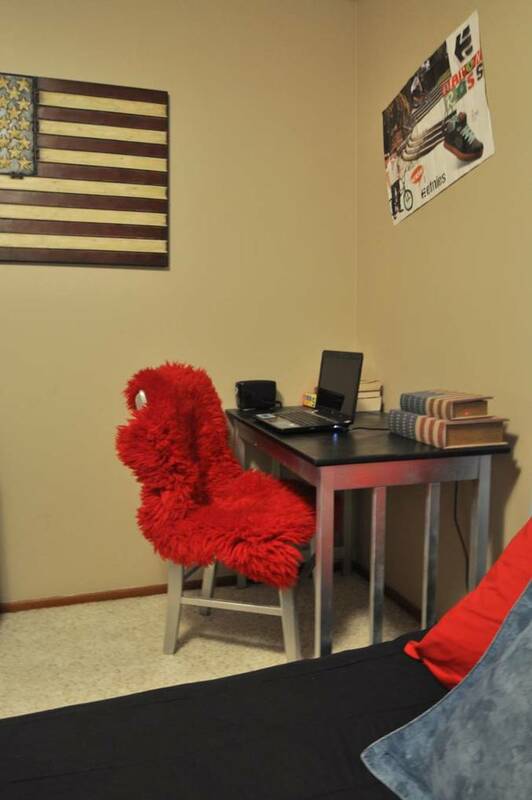 He had grown out of his desk too, so it was a great time to change just about everything. 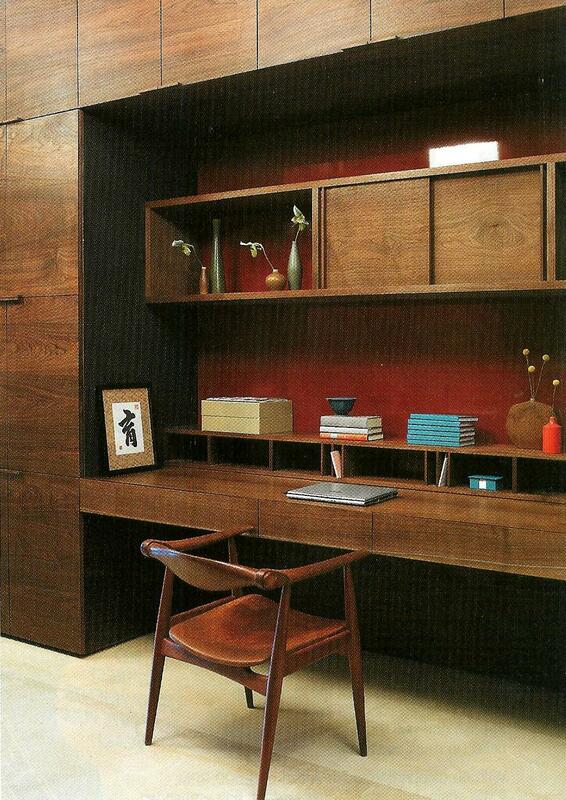 Before – Nothing had been done to the room except for the cloud painted wall. 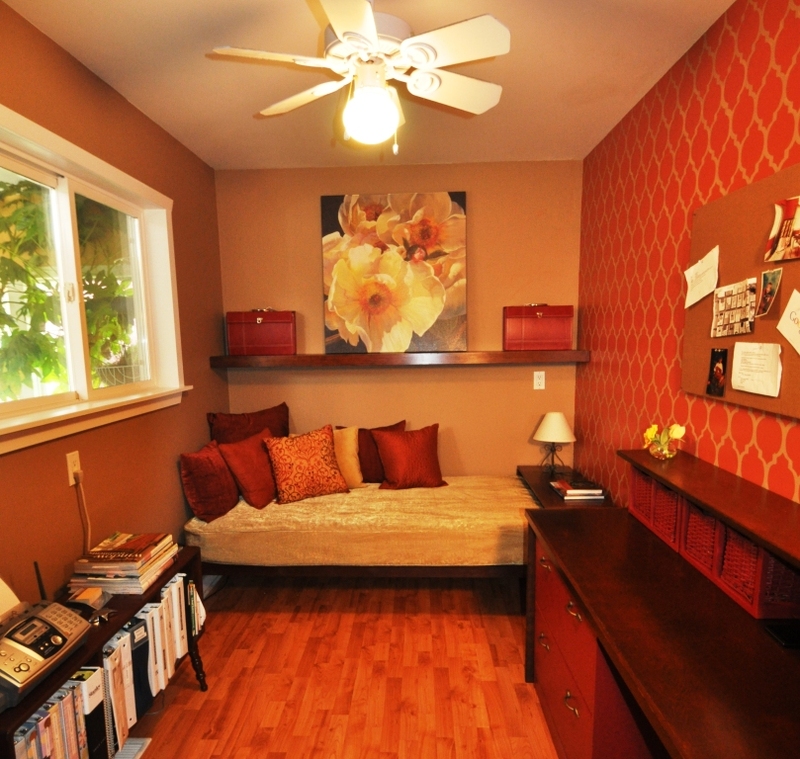 After a very quick makeover – Quick and very inexpensive! 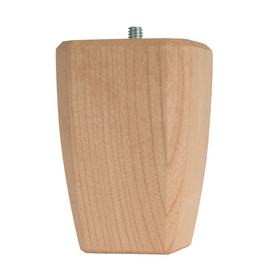 Waddell 4-in Ash Square Taper Bun Foot Wood Table Leg purchased from Lowes. The short drapes the previous owners had installed in the house were very dated, even though they were fairly new, so I used the same fabric and made them into a fabric shade instead. I also had previously purchased pillow shams which are the flag fabric you see on the cornice boards over the draperies. He didn’t want them as shams, so I surprised him and made them into the cornice boards… He had a hard time saying no to that, ha, ha! After: Fabric shades replaced the dated, short draperies, and decorative drapery panels topped with cornice boxes now flank the window sides. 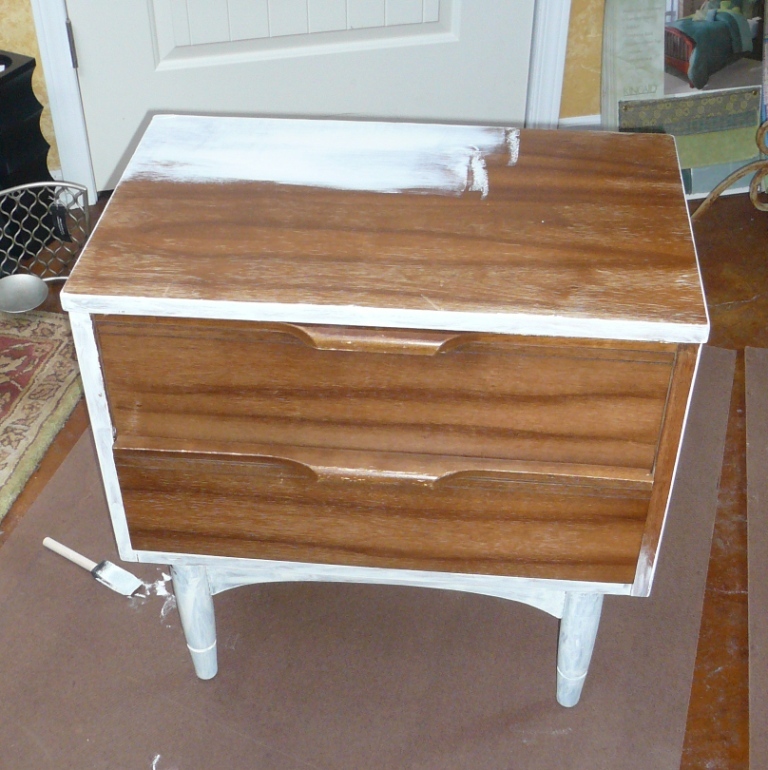 Night stand in process of being coated with primer. It was covered with a laminate. 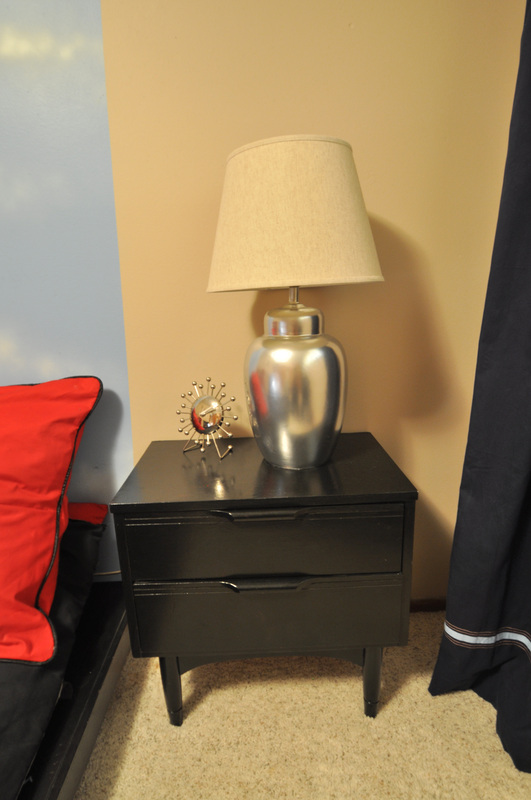 After the night stand and lamp had been spray painted. The Mission style desk was strong and sturdy, but not the right style, so I took out one of the vertical wood pieces on each side to take away the “Mission” look, and painted the desk and the chair a metallic silver with a black painted top on the desk. I also sprayed a clear protective finish on both the top of the bedside stand and the desk… A very important step not to be missed! It’s worth taking the extra time to spray on two or more coats for furniture tops. Desk and chair were spray primed and then spray painted. Desk top is protected with a clear finish. Now my son is 19 years old and in college. It happened so fast! Kids can be a little challenging when they turn into teenagers, but give them lots of love and patience, and try to make every moment with them count because they’ll be grown up before you know it! 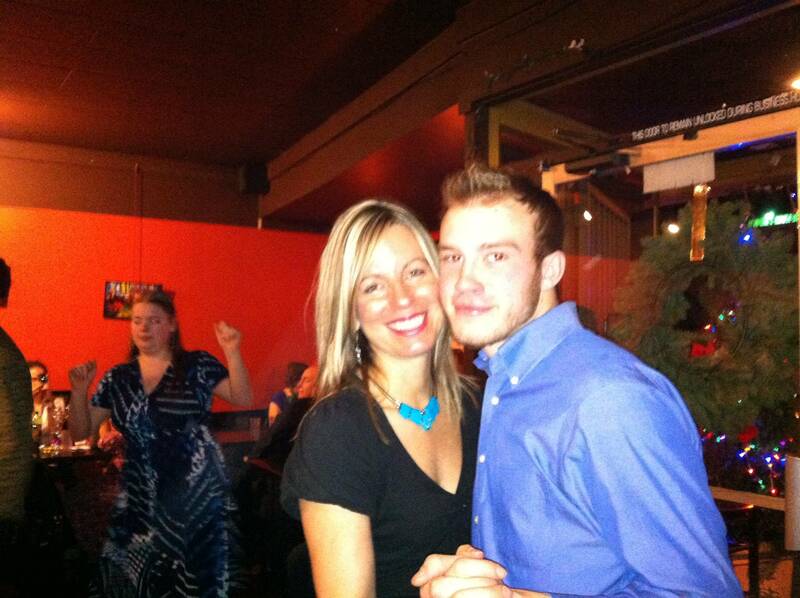 Salsa dancing with my son for my birthday… He’s now 19 years old already! 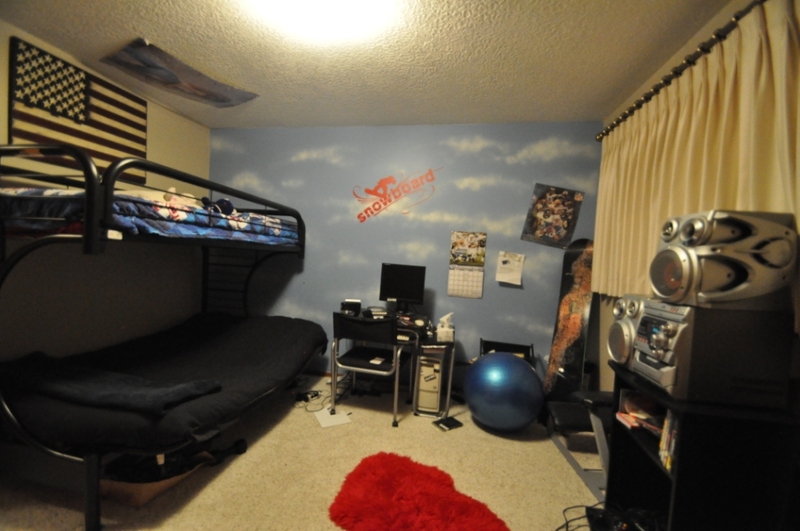 As for the single mattress from the bunk bed– I used that for a day bed in the den as shown below. 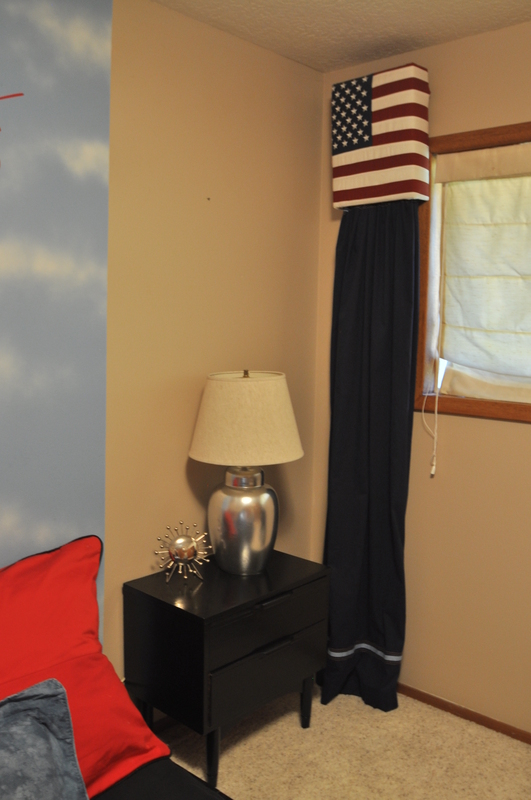 You can read more about that room makeover by clicking here. 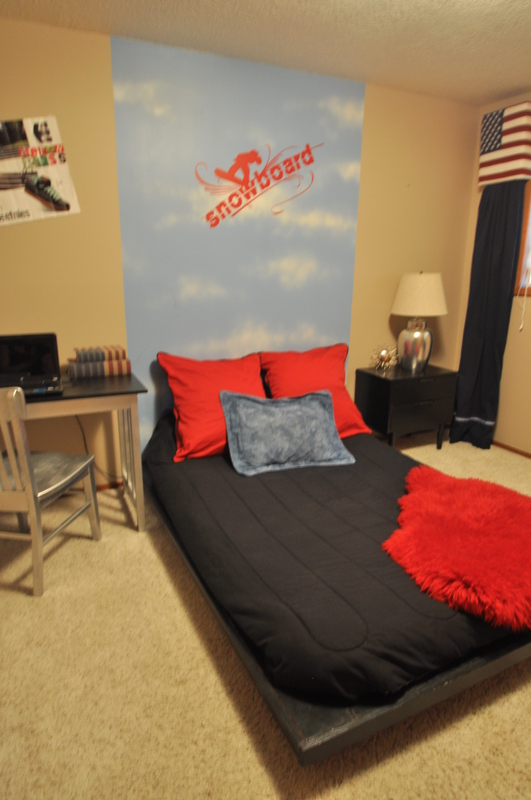 The single mattress from the bunk bed was used on a day bed. If you’d like to receive notifications when new blog posts are made, please subscribe to this blog from the upper right hand corner. Also feel free to “like” me on Facebook. ← Is Your Home Stuck in a Time Warp? 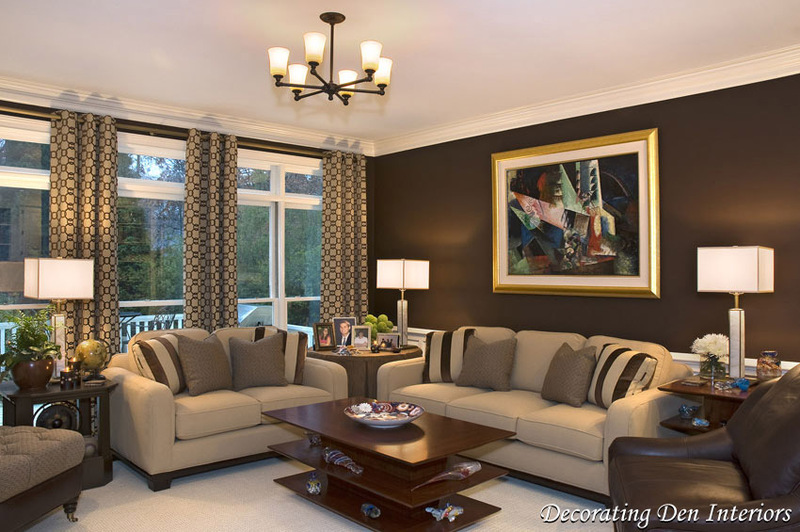 Here are Some Suggestions for Updating Your Decor! This was a great way to reuse the bunk bed. I LOVE your den!!! great color combo. Thank you… I love those colors too!